Barcelona are reportedly plotting a way in which they can rake in up to €300m this summer to balance their books and perhaps even spend further. 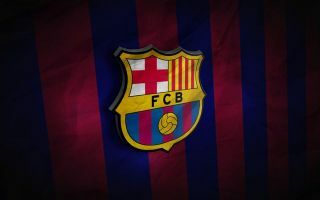 The Catalan giants are still on course for a treble this season, as they remain in the hunt for a La Liga title, as well as the Copa del Rey and the Champions League. With that in mind, it doesn’t appear as though coach Ernesto Valverde needs to do too much with his squad, other than continue to build for the long-term future. That is set to happen given that they’ve agreed to splash out €75m+ on Ajax starlet Frenkie de Jong already, as per BBC Sport, and so from a financial stand-point, they will need to balance the books and ensure that they maintain a balanced squad. According to ESPN, with the likes of Matthijs de Ligt, Luka Jovic and Antoine Griezmann still on their transfer radar, that could lead to big-name sales this summer to raise up to €300m and ensure that they remain in a healthy financial position. It’s added that Philippe Coutinho, Samuel Umtiti, Ivan Rakitic, Malcom, Jasper Cillessen, Rafinha, Andre Gomes and Denis Suarez could all be sold this summer as they have seemingly all either dropped out of favour in the starting line-up or have struggled to make a dent in the XI at all. Nevertheless, while it sounds exciting on paper in that they could fund more big transfer moves of their own this summer, Barcelona will also have to be careful not to sacrifice too much quality depth which could leave them short as they will be competing on multiple fronts year after year. Of those names mentioned above, the likes of Coutinho, Umtiti and Rakitic are surely the least likely to move on despite the speculation over their respective futures, as they all still have key roles to play moving forward.